Lorin Latarro (BFA ’97, dance) and I (a member of Drama Group 33) had the good fortune to work together on the world premiere of Monsoon Wedding, a musical based on the hit 2001 Indian film. The show—which is at Berkeley Rep, has been extended twice, and runs through July 16—is about a big Punjabi wedding with its attendant chaos, but it’s also about abuse, class, and different types of love. 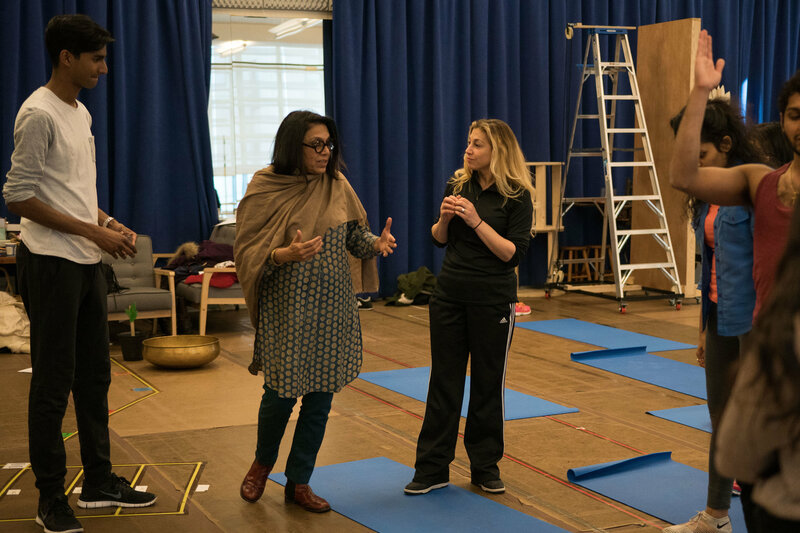 Lorin and I had a long discussion about working on a new piece, collaborating with an international and renowned creative team (led by Mira Nair, the director of both the film and the musical), and the theme of being outsiders though in different ways. While our cultural backgrounds are different, Lorin and I found we had a great deal in common because of our Juilliard training. We were linked by an approach that included humility, curiosity, respect and awareness of human complexity—values we had imbibed at Juilliard. Another value we shared was that as Juilliard artists, we were used to rigor and discipline and trying to maximize rehearsal time, so we both had to navigate a nonlinear rehearsal process where as much time was accorded to questions about authenticity and cultural nuance as it was to music and dance. Lorin and I talked about appropriation in art, and I revealed that it had given me pause when I’d learned that there was a Caucasian choreographer for this Indian piece, but that after working with Lorin and her assistant, Namita Kapoor, in the audition, I realized that the rehearsal process was going to be a respectful dialogue and that my input would be welcomed. Post Monsoon Wedding, Mahira Kakkar, who received her drama BFA in 2004, is taking part in a new play festival in Portland, Ore.